Due to the success of the inaugural programme last year, Townley Grammar School are delighted to invite our Year 7 students to take part in our second leadership and sustainable development residential programme (Saturday 6th – Tuesday 9th July 2019) hosted by Wellington College including an excursion to Oxford. There are limited places and we will allocate places in order of registration (‘registration’ form submitted online). Please complete Step 1 before paying your deposit. Students eligible for Pupil Premium should email Mr De Fabiani if the cost of this programme is a barrier to participation. This programme is designed in partnership with Townley Grammar School and is only open to Townley Grammar students to attend (who are currently in Year 7). You will be taken to an external webform which is hosted by Future Foundations. This is an encrypted GDPR-compliant platform. Townley Global Social Leaders (GSL) Catalyst is a unique 3-day intensive leadership course, designed to develop your leadership skills and your understanding of global issues enabling you to be a leader in your life and society. The programme is being hosted by Wellington College. This is the second year, Townley will be offering this programme to our students, click here to read about last year’s programme. Townley GSL Catalyst is a transformational leadership experience and sustainable development programme developed by Future Foundations in partnership with Townley Grammar School and the Wellington Leadership and Coaching Institute. GSL programmes bring together young people who are driven to make social change on a global scale. The GSL catalyst is an introductory programme to the GSL longer globally mixed programmes. A Catalyst develops each participant’s personal understanding of different leadership styles, and how to show leadership for oneself, in school, and in the community. Participants will develop their understanding of the global challenges we face and how, through partnership and innovation, we can solve them. They will be taken through real life cases to demonstrate good project management and how to create their own impactful projects to take on after the programme ends. Alongside the leadership course, the students will take part in a one-day excursion to Oxford on the last day of the programme (organised by Townley Grammar School). I’ve had one of the most amazing experiences of my life and I now feel much more confident. Truly inspiring and had such a fun time. I’ve learnt so much and has given me a new outlook on the world. Thank you! I never knew how much I was capable of until GSL. After the programme, Townley students will be challenged to start their own social action projects working in teams of 3 to 7 students which will make tangible changes within school and the community (local, national or global). They will be invited to enter the GSL Global Goals Competition and will become part of a truly global movement. In 2018-19 over 500 schools in 83 countries have participated in our global competition. Townley students will participate in a day-trip to Oxford (organised by Townley Grammar School) on Tuesday 9th July (Day 4 of the programme). This will be a truly inspiring experience and will provide the students with an inspiring and immersive experience. We are planning a tour, visit to a College and a talk by Oxford students. We are planning a full itinerary for the day with various partners in Oxford, and will be sharing a full excursion breakdown when we offer the places. The students will leave Oxford inspired, to return to school to truly live the values of the GSL Catalyst, to be leaders in their lives, our school and society. Wellington College is a British co-educational boarding and day independent school in the village of Crowthorne, Berkshire. Wellington is a registered charity and currently has about 1,050 pupils aged between 13 and 18. It was built as a national monument to the first Duke of Wellington (1769–1852), after whom the College is named. Her Majesty Queen Victoria laid the foundation stone in 1856 and inaugurated the School’s public opening on 29 January 1859. The college was designed by John Shaw, Jr., who had also previously worked as an architect for Eton College. Wellington College stands on a 400-acre estate in South-East England, near Reading, Berkshire. The grounds of the college include a golf course and woodland in addition to playing fields. The woodland area of the college is listed as a local nature reserve called Edgbarrow Woods. Global Social Leaders are proud to host programmes at this exclusive boarding school in beautiful surroundings. We partner with the Wellington Leadership and Coaching Institute, to design and deliver our programmes at Wellington, click here to read more about our partnership developed over the last ten years. 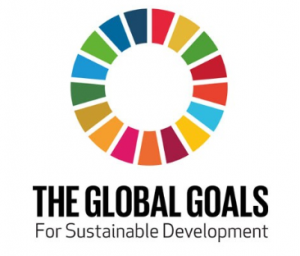 Take your life to the next level and set up a GSL Project that will design and manage social change projects in your community, and will have the opportunity to take part in the GSL Global Goals competition. The programme is designed not only to develop your leadership skills and enable you to make social change, but also for you to have fun! This leadership course and the residential fees have been significantly discounted for Townley Grammar School due to our partnership with Future Foundations and forms part of Wellington College’s commitment to opening up its facilities beyond its own students. *The price is £350-£375 depending on final numbers. We ask for a deposit of £150 to confirm a place. Once we have final numbers we will ask for final payment of between £200 and £225 depending on numbers. There are limited places and we will allocate places in order of registration forms received. Please complete Step 1 before paying your deposit. Due to technical issue with Squid (Townley’s payment platform), please use our secure shopping cart option (link above) to pay for the deposit.